Meet our Essay Contest Winners! 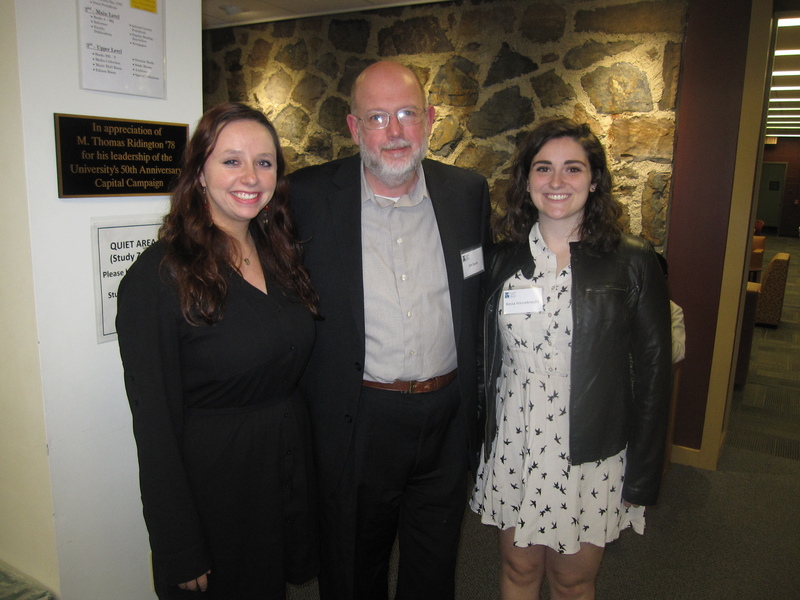 Library Director and Friends’ President Jim Sauer with Abbie Storch (L) and Bessa Houseknecht (R), two of our three essay winners. Thank you to all that entered this year’s contest. We had a record number of entries. The judges had their work cut out for themselves! Below are a few photos from the night. We recognized retiring board members John Crosby and Joy Dlugosz. Enjoyed a game of Jeopardy, with Children’s literature as the topic, and learn about early American Children’s lit. from the Rosenbach’s Associate Curator, Kathy Haas. If you weren’t able to attend this year, we hope you’ll come next year!